As a student, who is pursuing academic endeavours at Nazarbayev University for postgraduate level, I am required to conduct an independent research and present it in the form of a thesis for the award of Master’s degree. In actual fact, the process of writing a full -length thesis is quite challenging when you have other responsibilities such as a job and family. Moreover, it is more challenging when you do not have experience in conducting research and lack the knowledge of the appropriate methodology required.. However, during the time devoted for writing the thesis and carrying out other responsibilities, I believe I gained much knowledge and many skills from online and face-to-face courses offered by instructors at Nazarbayev University. I also gained valuable practice from writing short and medium length papers. Therefore, after writing one third of the high –scale research paper and completing several courses both online and face-to-face, I think it is timely to share my opinions about the phases where I struggledmost and the strategies I used to overcome these challenges. This will further inform my readers about the challenging stages of writing research papers and, hopefully, help improve their learning experiences. The first phase in which I struggled most was choosing the methodology that is appropriate to the topic and address the questions of the study. It was quite challenging to make a decision on choosing a mixed methodology approach for my full-length study, although I had quite a broad experience in conducting a quantitative study I had less experience in conducting a qualitative study. According to Creswell (2012) “The core argument for a mixed methods design is that the combination of both forms of data provides a better understanding of a research problem than either quantitative or qualitative data by itself” (p.22). However, there arises another challenge after choosing a mixed method design: one has to justify the chosen methodologies. To overcome this challenge, I constantly made reference to studies, in which the mixed method design is both utilized and introduced with rationales by their authors. In order to thoroughly understand the instruments for qualitative data collection and the ways of analyzing the data, I once again used this technique. The challenge that I will describe in this paragraph is quite prevalent among the people who study issues in the context of Kazakhstan. Since Kazakhstan is a relatively young country, which has carried out very little research on education, it is often quite challenging to find some scholarly sources on a range of topics related to the practice in Kazakhstan. Moreover, access to official documents such as educational policies and reports are usually impossible due to the non- transparent culture adopted by the educational institutions in Kazakhstan. Therefore, while searching scholarly articles about the educational issues in Kazakhstan, I referred to geographical location and historical background of the country and searched scholarly articles using phrases like “Central Asia”, “developing Asian countries”, “post- Soviet time” etc. As for the recommendations for developing the learning experience of my peers, I believe that I have shared some valuable strategies for overcoming the challenges that can be encountered in writing their full-length research paper. Moreover, I think that they are now better informed about their own learning style and techniques that are most helpful for them.Therefore, the only other consideration that I would recommend is to value the precious time and make use of feedback gained from course instructors. I am highly satisfied with the content, pace, methods used by my instructor to deliver the content and feedback received from her. In comparison with other online courses, I think that it is worth mentioning the variation of tasks designed by instructors of the course ‘English for Thesis Writing’. I believe that most students saw benefits and made use of blog creation tool “Wordpress” for both learning and teaching purposes. I also recommend reading the blogs written by other peers in group and developing more interactive approaches such as peer commentaries.. The only recommendation for improving the course ‘English for Thesis Writing’ is to rearrange the time for its delivery. I think that it will be more effective if the course “English for thesis writing” is combined with the course “Research Design”, to inform students both theoretically and methodologically. This will further give students a more constructive understanding of the criteria for a successful research paper. Summing up thus far, I think that all challenges faced while performing assignments were aligned to practical steps that help us to unlock the world of research. As a person who is more inclined to use and read quantitative research articles, initially, it was difficult to make a decision on using a qualitative data collection procedure for a small scale survey on graduate students’ perspectives of advantages and challenges of online education. However, I intentionally used the qualitative research design to facilitate the process of writing my final thesis research project, which employs a mixed methods approach: quantitative and qualitative. The main rationale for choosing the qualitative research design was to gain insights into conducting the qualitative data collection and to understand the steps required for further data analysis. By using the qualitative research design, I introduced with some benefits and challenges it can bring to the researcher in data collection, data analysis stages and draw some conclusions for my further high scale research. The challenges I faced at the stage of data collection for a small scale study included the time-consuming nature of the interview and the creation of the right atmosphere for the interview. The qualitative research design, i.e. semi-structured interviews seemed to me more time-consuming in comparison with a survey questionnaire, since the interviews can take more than 20 minutes, and the duration of them depends mostly on the quality of the answer given by your interviewee. However, since it does not limit the variety of answers, it can reveal some issues that the study aims to address. 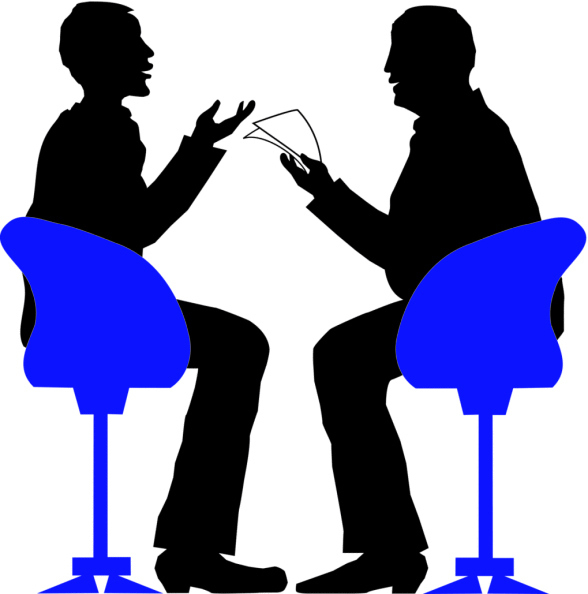 Moreover, as Fontana and Frey (2000) described a semi-structured interview is “one of the most powerful ways in which we try to understand our fellow human beings” (p. 645). Creating a pleasant atmosphere in which the participants of your research can feel comfortable is crucial, since it is this factor that makes the interview successful.I understood that atmosphere in interview depends on several things such as time, duration, place, questions, the behavior of the interviewer, interviewers ‘ability to create the appropriate atmosphere, to quickly adapt and properly react to the situation described by interviewee. I believe that creating a pleasant atmosphere was quite challenging for me in terms of choice of time, since we scheduled our interviews mainly after the day of study. Therefore, it seemed for me that participants felt a little tired after the long study days and were not comfortable with the time which was scheduled by them. Despite that, with the help of a pleasant social atmosphere created prior to the start of interview and during interview, I could gain some valuable data from participants on their perspectives of online education. To sum up, I think that this practice of conducting the small scale survey on online educationusing qualitative research design enhanced my experience in using the qualitative data collection instruments. This will further ensure the quality of my final research project for gaining Master degree certification. Fontana, F. ,& Frey, J. ( 2000). The interview: From structured questions to negotiated text. InK. Denzin& Y. S. Lincoln.(Eds. ), Handbook of qualitative research.645. Thousand Oaks, CA: Sage. With the enhancement of innovative technology around the world, the education is becoming more accessible. In some institutions, online education platforms are even replacing brick and mortar classroom by making more people engaged in massive open online courses (MOOCs) or any other internet-based plarforms. 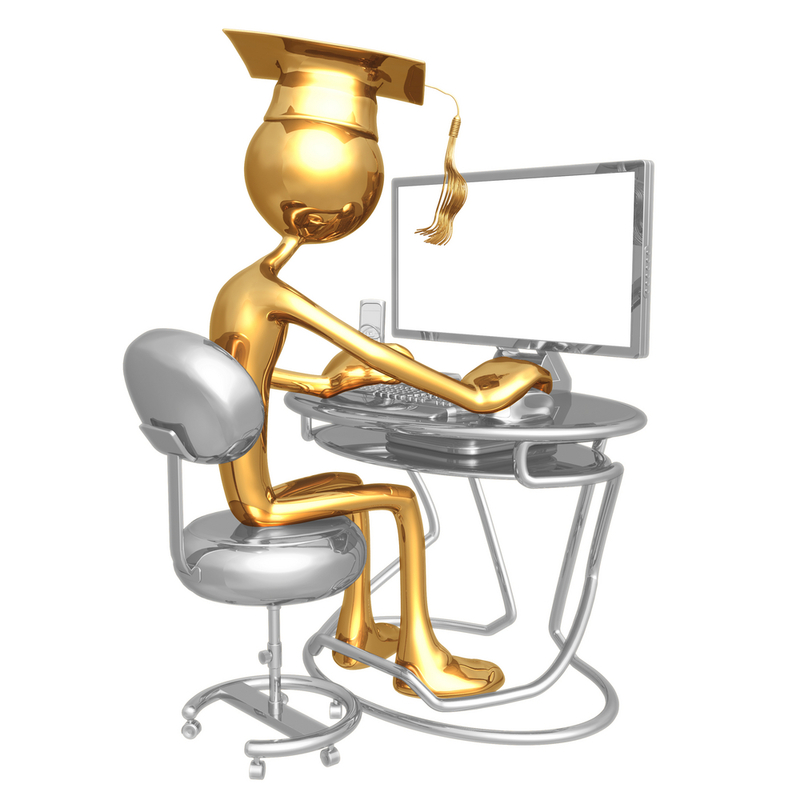 For instance, the Babson Research Study revealed that “there were 572,000 more online students in fall 2011 than in fall 2010 for a new total of 6.7 million students taking at least one online course”(Allen & Seaman, 2013.p. 17). Consequently, the increased number of corporations and companies are funding e-learning industry and offering the number of online courses. One of that companies that build technology and offer services for online education is Lingt. It is a company that hat helps people learn foreign languages in innovative way. I started to use this online education source from the last summer to have my students engaged in English language out of classroom and to customize their learning during the season of vacation. To tell the truth, I personally as a teacher have reaped only benefits from online teaching, since this platform gives many opportunities to interact with your student out of the classroom. It enables teachers to create online assignments incorporating voice, video, images, and text; make oral exams; offer targeted feedback to individual responses; and archive assignments and students’ responses to reuse next time and track individual improvement of your students (http://lingtlanguage.com). The major advantatges of Lingt Editor that really makes it stand-out are user-friendliness and affordability. As for as user -friendliness, there is a clear explanation on the site and one click of a blue bubble is enough to produce a task. Moreover, it is simple enough for anyone to use while remaining flexible enough to allow implementation of almost any spoken or written exercise. Teachers can create spoken dialogues, dictations, pronunciation practices, oral examinations or diagnostics, reading practices, image or video commentaries and own inventions. As for as affordability, since it is totally free, the only thing that is required is to connect to the internet through any major browser. More importantly, it is not time-consuming and do not ask for heavy installations and rigid system requirements and are available on iPads and Android tablets. However, there still exist a room for improvement. For instance, one of the areas that I would like to have improved in this online platform is the coverage of another subject area such as science, math rather than only on focusing on linguistic disciplines. Another area that needs improvement is connected to internal content while designing an assignment for your students. The problem is that one can not change the order of tasks once he or she has placed them. Therefore, a button or service for moving a content once you have already placed task is required. To sum up, despite of the problems mentioned above, Lingt Editor is a helpful tool for having your students engaged in learning process out of the classroom. Allen, E., & Seaman, J. (2013). Changing Course: Ten Years of Tracking Online Education in the United States. Muirhead (2004) states that the literature review process is often a major challenge for graduate students who must learn to effectively work with computer technology and manage larger volumes of available information. I think most of you will agree with the statement of Muirhead (2004), since most of us are facing the challenges of writing literature review. Moreover, in a world where the Internet has broadened the range of potentially relevant sources, however, doing a literature review can pose challenges even to an experienced researcher (Knopf, 2006). Why it is challenging? The literature review in its own has several functions such as identification deficiencies, or gaps in existing knowledge or practice that need to be addressed; identification of points of debate and convergence in the literature; measuring and discussing the overall quality of the reviewed literature and so on . Therefore, it requires more effort from the writer. What is required for carrying out quality literature review? What I have understood so far, to carry out a quality literature review it is not enough only to make efforts only, also skills and abilities, patience and diligence are required. As for as skills and abilities, Hart (1998, Muirhead, 2004) defines the ability to integrate theory and method as a crucial ability for carrying out literature review. According to Muirhead (2004), reviewing the literature also requires patience and diligence from researcher. They are of vital importance, since most of the common mistakes like poor alignment of the literature review with the researchers own study; inclination to rely on secondary sources rather than on primary sources in reviewing the literature, non-critical evaluation of existing literature happen only because the researcher does not possess patience and diligence. Since the advances in technology increasing the possibility to conduct manually done operations automatically, I think that ICT skills must be considered while discussing the skills required for conducting literature review. What techniques and strategies I used to overcome faced challenges? The first challenge I faced was time allocation for literature review. I dealt with this problem by setting a schedule for conducting a literature review. The second challenge that I have faced while I was writing literature review was finding of sources. To overcome the challenge of finding sources I mostly used the searching in referencing. Finally, now I am at the stage of analyzing and synthesizing selected literature for my paper. Fortunately, at this stage of my study, one of my colleagues has shared her experience of using web tool zotero (http//www.zotero.org), which I am planning to use as well. Zotero is an only research tool built by practicing researchers and teachers, at the Centre for History and New Media at George Mason University that automatically senses content in your web browser. It collects, organize, cite, synchronize the data of your research and gives opportunity to create and join research groups to focus on any topic you choose. To sum up, I hope that my groupmates will finally collect the pieces of jigsaw puzzle using advice given by all groupmates and write a quality literature review until the start of fall sessions. Knopf, J.W., (2006). Doing a Literature Review. PS: Political Science & Politics. Vol.39, No. 01:127-132. Since most of us have introduced with APA style only after entering Master Degree at Nazarbayev University and are at the start line or trampoline of writing thesis papers I think that blogging on challenges we face in APA formatting will be timely and helpful, especially if we gain some valuable advice. Therefore, I decided to share with you the experience of APA formatting of the first year and some tools that I employ in formatting research papers and to improve my academic writing skills. 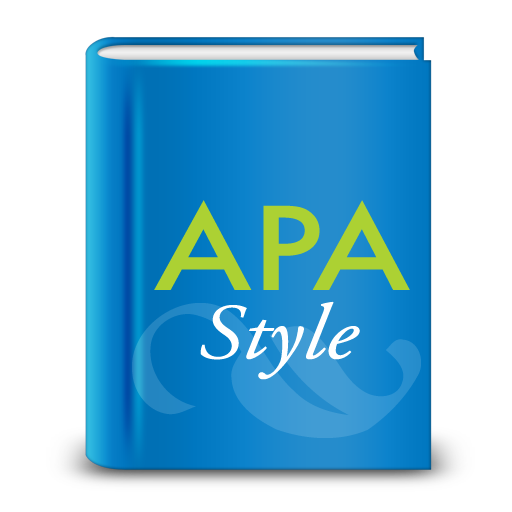 To start with, APA style was developed by social and behavioral scientists to standardize scientific writing. This style is used for formatting term papers, empirical studies, literature reviews, theoretical articles, methodological articles and case studies (American Psychological Association, 2011). Since formatting helps researcher to convey the depth of the research using common language and gives others opportunity to focus on the content of the work rather than its technical inefficiencies, the importance of formatting in writing scientific papers becomes as high as their content. Apart from uniformity, APA formatting assures the writing of quality academic papers, which are clear and credible. Moreover, it decreases plagiarism. To continue with the experience of APA formatting gained in the first year, it is worth to notice that all the instructors challenged us to use APA formatting in writing our academic papers, which helped us not only to know the theory of it , but, more importantly, to apply the gained from readings in practice. Almost every task of any course included an attachment on APA formatting. Another helpful technique used by instructors is designing a task, which required using citation generator like http://www.citationmachine.net/apa/cite-a-book. Another helpful tool that positively affected the improvement of students’ formatting skills is feedback given by instructors. However, despite of the efforts made by instructors and myself, there did exist some challenges that I overcome today. The challenges I encountered in APA formatting were spacing, citing a source with multiple sources, heading. For example, citing a source with multiple authors included incorrect use of ‘et al.’, incorrect use of commas and ampersands. To overcome this challenge and to ensure the accuracy of formatting, it was required simply to allocate of a little bit more time for proper citation. As for the challenges of heading and spacing, I use a plug-in to Microsoft Word Riverpoint Writer, which enables automatic formatting of documents to predefined academic guidelines and includes tools for correctly formatting references, putting proper heading, imputing citations, text spacing, and proper introduction. Another tool that I find helpful for proper organization of citation and reference list is Purdue Owl (Online Writing Lab of Purdue University). Moreover, LibGuides, guides compiled by librarians at Nazarbayev University help students with research tips, writing, and formatting their work. Undoubtedly, it is impossible to assure high quality of formatting from the first time. However, it will be more helpful if everybody will share their experience in APA formatting with the strategies used to overcome challenges and come up with their own advice. What are you feelings about taking classes online? I based my blog on two scholarly articles of recent time, which discuss students’ perspective on the benefits and challenges of online courses in a graduate education degree programme and differences on learning outcomes of face-to-face versus online education. I think this discussion is timely since all of us are doing some courses online and some courses face-to-face. It is debatable to the extent that some of us are really struggling in combining the study with the job and some of us seeing the benefits of it by increasing their learning outcomes. Moreover, the discussion of challenges students face in doing online courses can affect instructors planning and delivery of online courses, whereas the discussion of benefits can influence implementation decisions of other instructors at Nazarbayev University or at other Universities of our country. The benefits of online learning listed by Maines (2014) include accessibility of online education from any location and for diverse students population who have suitable technology needed for the course; breadth and flexibility in the resources led to raised efficiency of teaching; convenience of online courses in managing interaction time and physical environment;. Moreover, according to Maines (2014) online education is convenient in allowing students to pursue other responsibilities. The perceptions of participants of online graduate programmes in study conducted by Maines (2014) revealed that instructors were effective in the aspect of engagement in online learning by putting clear expectations and providing clear feedback; participants felt comfortable with the technology and found it moderately easy to interact with other peers online. The main findings of the research by Maines (2014) include the importance of the development of technological skills and provision of pedagogical guidance for online instructors on adapting face-to-face learning experiences to an online environment before they start online courses. The second article by Kirtman (2009) compares learning outcomes of 140 (127 are female) master degree students of three online courses to three traditional face-to-face courses. As sources of data served papers completed by students, examinations and survey results. The results of the study by Kirtman (2009) reveals that there was no significant difference found between papers submitted by the online and F2F groups of students. The analysis of exam results has shown that there was a significant difference between F2F and online course students. The mean score of midterm of F2F students was 2 points higher than of online course students, whereas the mean score of final exam revealed controversial results. However, the data gained from survey results has revealed the challenges and benefits of online learning. According to the study by Kirtman (2009) benefits of online learning: it saves times spent for travelling, gives more responsibility for own learning, no affect by other’s learning. Challenge is less interaction with other peers. To sum up, both studies have discussed the strengths and drawbacks of online education from students perspective with which I personally agree. Dear peers and colleagues! Now that you have completed 2 online courses (English for Professional Purposes, English for Research), what are you feelings about taking classes online? Nowadays the quality in education is becoming one of the significant issues on policy agenda. However, according to Gleeson (as cited in O’Leary,2014) there is a hot contest about what and how it is achieved and understood in practice. In addressing the questions raised above, classroom observation constitutes a controlling technology together with the tool that can be used to inform the teachers teaching practice and consequently raise the quality of education. It will be of high significance, if classroom observation is accompanied by constructive feedback, which is powerful tool in improving teaching and learning. Moreover, cognitive psychologists who study expert performance have found that feedback is the key resource for engaging in the kind of “deliberate practice” necessary to reach high levels of performance in any field. While athletes and musicians often receive regular doses of high-quality feedback, most professionals do not. According to a leading authority on expertise and expert performance Ericsson (2009), the greatest obstacle for deliberate practice during work is the lack of immediate objective feedback. However, from practice we understand that ensuring accurate and immediate objective feedback from observations brings a complex challenges for school. 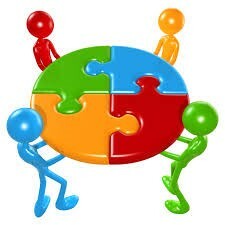 It means that schools must design a robust solution involving multiple strategies tailored to their own unique circumstances, since the practice shows that simply providing initial training for observers is not a sufficient solution. That was actually the reason for me to study this issue more deeply. Consequently, in this study I will be more concerned about the effective strategies for observation and constructing feedback from the acquired data on observations in order to help teachers meet the challenges they face and improve the quality of their teaching practice. I have taken Nazarbayev Intellectual School of Chemistry and Biology in Shymkent, since in the process of my work I mostly encounter that teachers have the sense of threat coming from classroom observation rather than the expectation to improve. Therefore, in the process of conducting this study I will carry out an analysis of existing literature, identify the gap in the literature and collect data from teachers on the impact of feedback gained from classroom observation on their teaching practice with the use of questionnaires and interviews. O’Leary M (2013) Classroom observation: a guide to the effective observation of teaching and learning. London: Routledge.